This one is from Diane of MyGemstoneBox - Thank you Diane, I am honored. 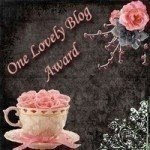 Pass the award to 15 other blogs that you’ve newly discovered (some of mine are not newly discovered though :)). Remember to contact the bloggers to let them know they have been chosen for this award. * :) 15! That's quite a lot but I shall try. I got 2 of this Premio Meme Award. One from Mortira of Inspirational Beading and another from Emma of Glitter Glow Beading. Thank you Mortira, thank you Emma. Check out their blogs and get inspired especially the tutorial section. The rules are simple. List seven facts about yourself and pass the award to seven worthy bloggers. Best way to relieve stress - wire wrapping and laugh out loud and heartily. Generally cheerful and happy go lucky kind of person. I can be funny but i reserve that for special occasions...:) just kidding lol. Always want to do more than what I can, in terms of time. Shy :), most of the time enjoy being alone and don't talk much. I used to be a very patient person but as I get older, I am losing it. Dislike people who constantly worry about their looks, extra quick with excuses and telling lies. Phew! Finally done...one of my longest post in recent months or is it year? Now I am off to inform all of you. Thank you so much for sharing your award with me! Have a great weekend! Makes me very happy that you like my blog. Thank you very much. Thank you for including me with such a great group of bloggers!!! Congratulations and thank you for your award! Mei congratulations on your award and thank you so much for nominating me in turn. I feel so honored! I shared the award on my blog with 15 more blogs.